Rhode Island International Film Festival 2012 from vacilando on Vimeo. 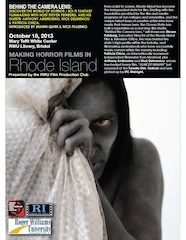 Contest Seeks Screenplays Showcasing the Spirit of Rhode Island Opening Soon! FLICKERS: Rhode Island International Film Festival (RIIFF) is pleased to announce that it is now accepting entries for its annual Spotlight on RI Screenplay Competition from November 1 to December 21. The Festival invites talented screenwriters from around the world to submit screenplays that focus on the spirit and character of Rhode Island. 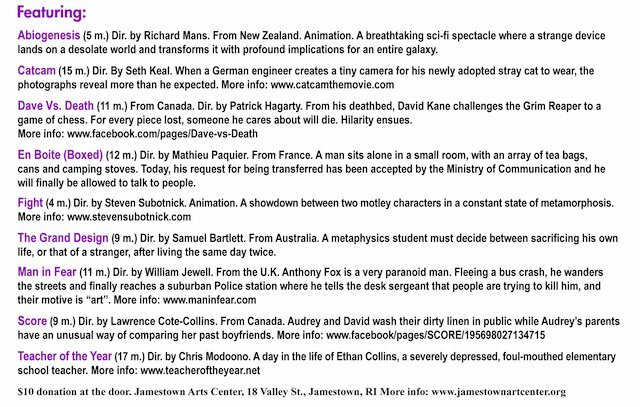 Scripts must be submitted by mail to RIIFF, PO Box 162, Newport, RI 02840. A filled out copy of the entry form must be submitted along with the script. Digital copies will also be accepted. The winning screenplay will be placed in the hands of producers and industry professionals who have the power to take the script to full-scale production. The winner will also be promoted to the film & television industry by the Rhode Island Film Office and FLICKERS, as well as receiving an all-access RIIFF Pass for 2014 including the ScriptBiz Screenwriters Workshop. "Conducting Conversations," on Classical Radio WCRI 95.9 FM, presented by Roberts Musical Instruments and Dr. Michael Sullo Art: This Sunday evening from 7:00 to 8:00 PM join host Mike Maino for an hour of music and conversation with RIIFF's Executive Director. The program gives a behind the scenes look at the guests' background, interests, special projects, and how music and the arts has impacted their lives. Tonight's program will focus on the music of composer, Howard Shore. Join us for a special monthly series from the Flickers Rhode Island International Film Festival that presents some of the best films screened during the 2013 festival. This month we celebrate the Holiday season with an amazing and powerful program of short films that were discovered at RIIFF this past August. The JAC program this month is one not to miss! The Masked Avenger can make things happen. Though at 10 he is considered young for a justice fighter he has already proved himself highly effective in the pursuit of peace. He has discovered powers that are locked inside gems and minerals and uses them to keep Franklin Street safe. But something is wrong in the house at the end of the street. There is a woman in trouble. When The Masked Avenger leaves a 'happiness questionnaire' in her letterbox a series of events are set in motion that no one could predict. This is the story of a superhero, a beagle, an amber amulet and the potential that is locked inside all of us. An unlikely bond is forged between a lonely boy and an elderly man claiming to be a former astronaut. Together, they transform a vintage vacuum cleaner into a rocketship for a surprising journey. December 21st is a symbolic day: the day of the winter solstice and the shortest day of the year, celebrated by many civilizations as the day of renewal. It is the perfect day to celebrate short films, an important speciality of Flickers, which greatly contribute to the renewal of audiovisual creations. Through extended collaborations with both The Alliance Française de Providence and The Consulat Général de France à Boston, Flickers is proud to bring The Shortest Day to venues across Rhode Island. In it’s third year of existence, The Shortest Day (Le jour le plus court) is a global French film festival organized by the CNC, Le Centre National du Cinéma et de L’image Animée (the National Center of Cinematography and Moving Image). This year, Flickers will showcase "The Shortest Day" program in the only 3 venues within the United States (all in Rhode Island) and one of three in North America! (See the Global list of participants) Flickers will be the only organization representing the United States on this special day of short film screenings across the Globe. “We are very excited to be partnering with Flickers for the third edition of The Shortest Day (Le jour le plus court). As part of the Consulate’s cultural mission, we actively promote all types of cinema and we place great importance in showcasing French short films to the greater public. While all too often under-estimated or overlooked, the short film is a vibrant and thriving format in the world of cinema today, and it deserves a great deal of recognition.” Eric Jasserman, chargé de mission artistique, Consulat Général de France à Boston." 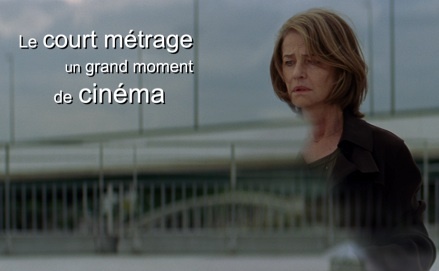 Le Jour le plus Court is a chance to discover the great directors of today and tomorrow. What Are the Goals of Le Jour le plus Court? 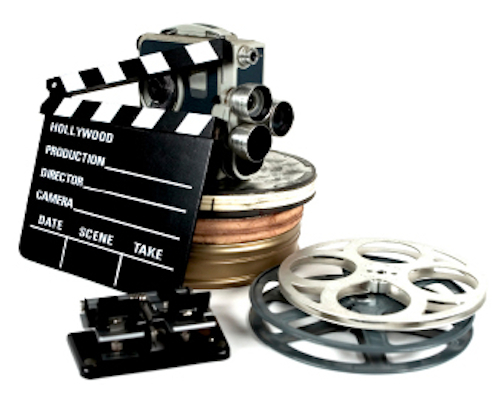 • Promote short films to the general public. • Popularize showing these films on all screens and in all venues. • Encourage amateur work and contribute to cultural democratization. 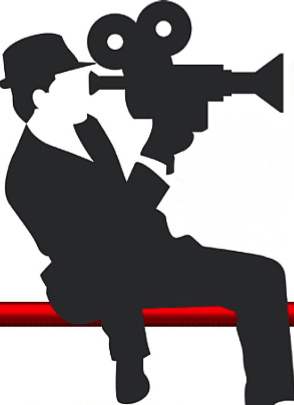 • Develop the essential role of networks and associations that work all year long to program and promote short films. All screenings are free and open to the general public! 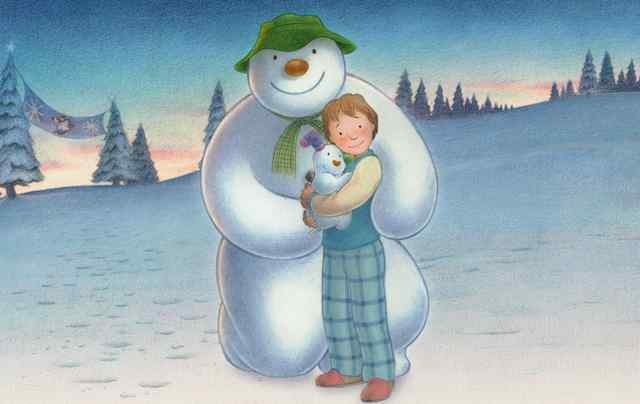 Celebrate the Holiday Season with Flickers and the Rhode Island International Film Festival. Join us as we ring in the holidays in style at the Museum of Work and Culture in Woonsocket, RI. Raise a toast. Sample exquisite desserts from Russell Morin Fine Catering. Mingle with friends. Share memories of the Festival. Discover some of the amazing new films that we'll be screening in 2014 and learn which of our films are on the Academy Shortlist. Cost: $50.00 • Please bring your e-ticket with you for our raffle drawing of a full Festival pass. Join us for a special monthly series from the Flickers Rhode Island International Film Festival that presents some of the best films screened during the 2013 festival. This month we rediscover an amazing and powerful program of short films that were screened at RIIFF this past August. As always, the JAC program this month is one not to miss! A Life with Asperger's | 4 min. | Directed by Jaime Ekkens. Camp Story | 26 min. | Directed by David Levy. Change Over Time | 7 min. | Directed by Ewan Duarte. CHANGE OVER TIME is an animated, experimental, personal documentary about the film-maker's first year on testosterone from an impressionistic and poetic perspective. The filmmaker asks himself the questions, what kind of man will I become? What emotional and soul changes will I experience during my first year on testosterone? Mohammed's Birds | 28 min. | Directed by Mohammed AlAwadi. Driven by his new passion for birds, the filmmaker travels around New England meeting different bird enthusiasts while raising his own birds at his apartment above an aquarium store. Not Anymore: A Story of Revolution | 14 min. | Directed by Matthew Van Dyke. 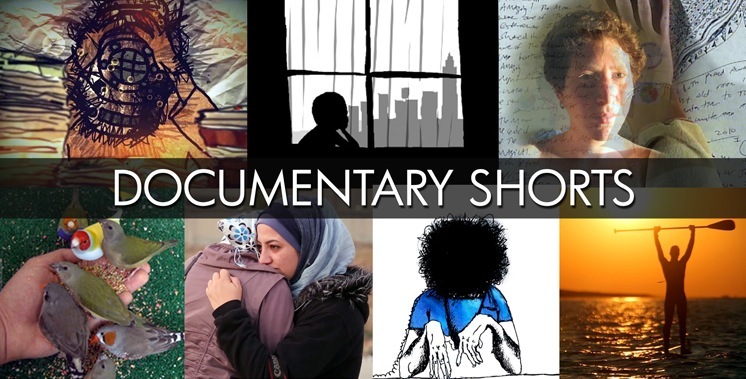 Not Anymore: A Story of Revolution tells the story of the Syrian struggle for freedom as experienced by a 32 year old rebel commander, Mowya, and a 24 year old female journalist, Nour, in Aleppo, Syria. The film clearly and concisely shows why the Syrian people are fighting for their freedom, told through the emotional words of two powerful characters whose lives have been turned upside down and torn apart by war. Old Man | 6 min. | Directed by Leah Shore. The Rider and the Storm | 15 min. | Directed by David Darg. Timmy Brennan is a New York iron worker who escapes the grind of the city through his true passion, surfing. But when Superstorm Sandy destroys his home in Breezy Point, Timmy loses everything - including his board. As Timmy digs through the ruins of his home day after day trying to recover lost possessions he is met with the kindness of strangers and finds solace once again on the ocean. FLICKERS: Rhode Island International Film Festival (RIIFF) is proud to present its Fall edition of the annual Roving Eye International Film Festival™. 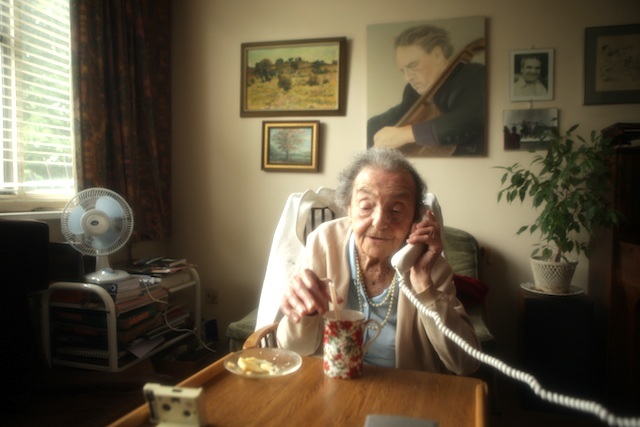 The popular and acclaimed festival celebrating global cinema and artists, announces its 2013 sidebar program on the Jewish Experience through short films, documentary, media and a guest speaker. With guest Speaker, Michael Hoberman, Associate Professor of English and Folklore at Fitchburg State University. Hoberman is a dynamic young scholar and author of the 2011 book, New Israel/New England: Jews and Puritans in Early America. Guests should enter through the main entrance at the fountain. they will be able to obtain a guest parking pass. Lot 24a will be blocked off for guests of the festival. Proceed through the main entrance through to the lot 24a on left. This event will take place in the Mary Tefft White Cultural Center, Global Heritage Hall and the Marine and Natural Sciences Building. “Behind the Camera Lens,” will showcase Steven Feinberg (“Fortress,” “Peter York,” “Pell Grants: A Passion for Education,) Executive Director of the Rhode Island Film & Television Office, the man behind the state’s high profile within the industry, and filmmaking professionals who have successfully made careers within the industry. Panelists include: Patricia Chica (“La promesse,” “Day Before Yesterday,” “Ceramic Tango,”) an internationally renowned independent filmmaker from Montreal, whose work has received countless awards with the Rhode Island International Film Festival (RIIFF) and other major film festivals worldwide; and, Rhode Island-filmmakers, Anthony Ambrosino and Nick Delmenico whose low-budget horror film, “ALMOST HUMAN” just screened at the Toronto Film Festival and was picked up by IFC Midnight. Serving as hosts for the forum will be Shawn Quirk, Programming Director at RIIFF and Nick Palermo, President of RWU Film Production Club. This is a free event. Cost: Free • Tickets available at the door • Please register in advance by clicking the link below. Time: The tour will take place this year on two days: Saturday, October 19th at 11:00 a.m. and Sunday, October 20th at 12:00 Noon. RIIFF is once again pleased to be a partner Festival in the 2013 Online New England Film Festival. The Festival will be live from September 1 through October 15, 2013. This year, 28 filmmakers will have their work online that you can screen and judge and 9 festivals are involved as partners. Look for an incredible range of styles and genres. To see this year's award-winning films, click here. 2013 Online New England Film Festival Trailer from Michele Meek on Vimeo. Continue your Festival experience with one of our long-term Festival Partner in Canada. It's their 42nd Edition and one not to be missed. The Festival presents daring, one-of-a-kind films from here and abroad, ensuring their success as well as introducing audiences to auteur filmmakers like Atom Egoyan, Marc-André Forcier, Souleymane Cissé, Zacharias Kunuk, Denis Villeneuve, Guy Maddin, Léa Pool, Jim Jarmusch, Jane Campion, Alfonso Cuaron, Wong Kar-wai, Wim Wenders, Mohsen Makhmalbaf and Raymond Depardon. For 42 years now, the Festival du nouveau cinéma has fulfilled its mission with purpose and passion. With an eye to the future and keenly aware of the importance of a solidly established base, the Festival du nouveau cinéma remains determined to expand the horizons of Montreal audiences by showing them original ways of presenting the moving image. Spurred on by its founders Claude Chamberlan and Dimitri Eipidès, the Festival has consistently juxtaposed bold ideas with impeccable taste. It is truly a class act ! Our staff will be heading north to support this extraordinary event. See you there! This year represents the largest group ever for our Youth Film Jury: 27 students from regional high schools are onboard. 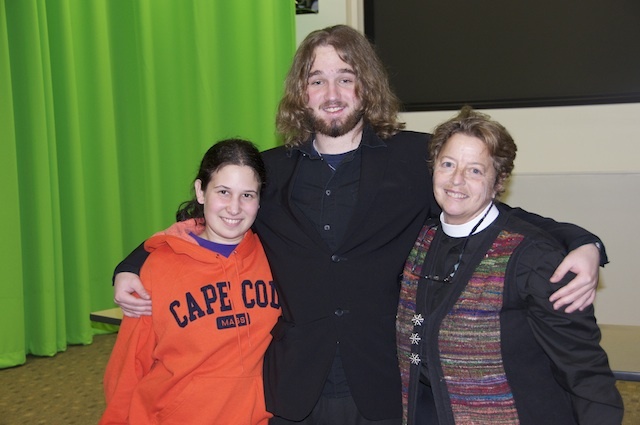 The program began in 2010 and was created by URI film major, Timothy Mendonca. The torch has been passed and for 2013, Graham H. Carter, a member of the jury for the past two years, is now guiding and mentoring the attendees. Graham is currently studying film at the University of Southern California. 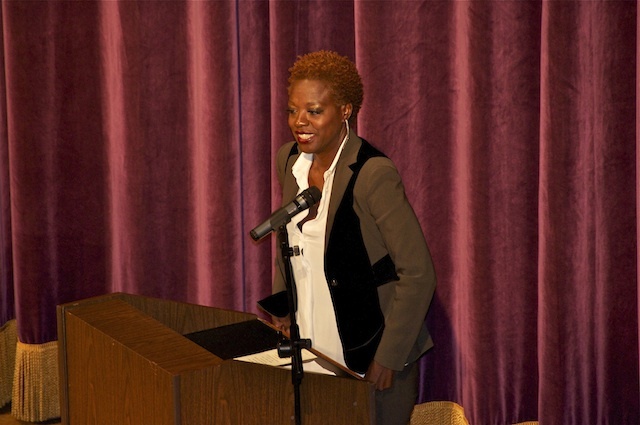 The Youth Jury is supported in part through a grant from the Rhode Island Foundation and its Equity Action Fund. 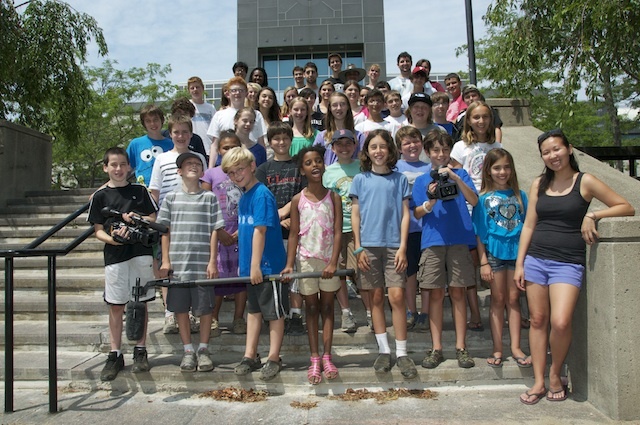 KidsEye™ Summer Filmmaking Camp Wraps! Thanks to everyone who made this year such a huge success and of course our amazing campers, all 43 of you. See you at the Red Carpet Premiere on August 10th! The Flickers: Rhode Island International Film Festival (RIIFF) ran August 6-11th at venues in Providence, Bristol, Jamestown, Woonsocket and across the state of Rhode Island. Screening 200+ films, it is the largest film festival in New England and every year attracted more than 5,200 entries from around the world. More than 200 filmmakers are expected to descend on the state’s capital city this year. RIIFF is a magnet for those who’ve made short films because it is a qualifying event for the short film category of the Academy of Motion Picture Arts and Sciences. In 2012, two of the films that premiered at RIIFF went on to receive Academy Award nominations. • Access our mobile app. •	Showcase of films and cultural activities from the Province of Québec celebrating the Jubilé Franco-Américain programming from 1994-2011 and the 19 year partnership with the Délègation du Québec, Boston and Tourism Québec. This year, we introduce the Québec Film Festival! 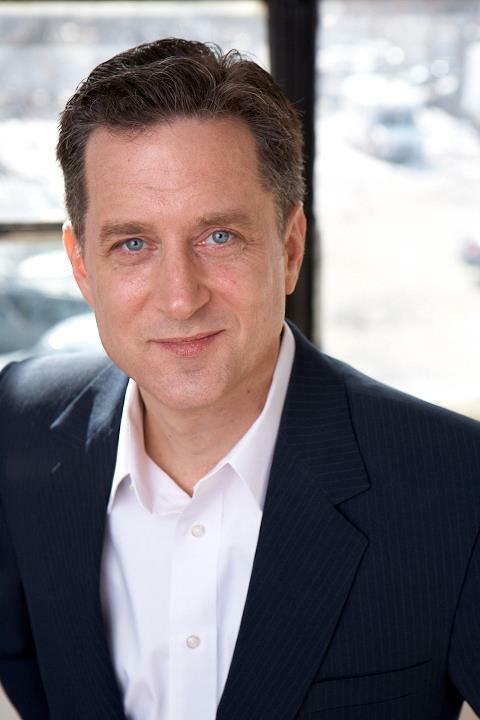 •	New focus and thrust for the annual ScriptBiz Screenplay Pitch Seminar and showcase of this year's Grand Prize Screenplay competition winner, Alfred Thomas Catalfo for his screenplay "Betrayed" (click here to learn more). In its 14th year, the LGBTQ Film Festival brings Rhode Island filmgoers a diverse sampling of over 40 international films both made by and made for members of the LGBTQ community. The festival kicks off this year with an opening night filmmaker reception party at the Bell Street Chapel. The event starts at 6 p.m. To see the films playing throughout RIIFF that make up this popular sidebar, click here. Trying to navigate through the Hollywood system? Tired of receiving rejection after rejection? Got a great idea for a movie script, but don’t know where to begin? Or have you finished that masterpiece, but no clue what to do next? 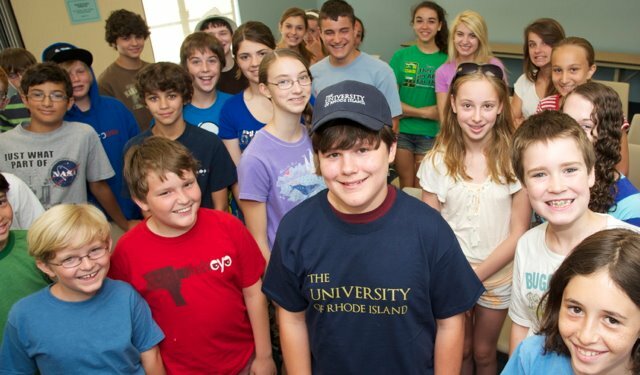 KidsEye™ is a fun yet intensive five-day filmmaking camp for children ages 8-16 presented by FLICKERS: Rhode Island International Film Festival™. Over the course of the last 15 years, the camp has expanded, allowing children to learn more about what it takes to make a movie. We strive to incorporate as much hands-on learning as possible, therefore placing our focus primarily on production. KidsEye™ participants step into the roles of screenwriters, actors, directors and crew, and learn the importance of working as a team. To learn more, please click here. Please note that we limited the number of campers to 35 insuring the best possible experience and student to teacher ratio. Thanks to Rule Boston Camera, the University of Rhode Island and the Harrington School of Communications for their ongoing support! Join us for a special monthly series from the Flickers Rhode Island International Film Festival that presents some of the best films screened during the 2012 festival. ASAD (17 min.) From Africa. Grand Prize short winner at the 2012 RIIFF and a 2013 Academy Award short nominee. Directed by Bryan Buckley. An all Somali refugee cast brings to life this coming of age fable of a Somali boy struggling to survive in his war-torn homeland. DVA (26 min.) From Germany & Croatia. First Place Best Short winner at the 2012 RIIFF. Directed by Mickey Nedimovic. When two men who are enemies in every way are forced to rely on each other to survive, they must overcome more than just their differences. The Other Side (22 min.) 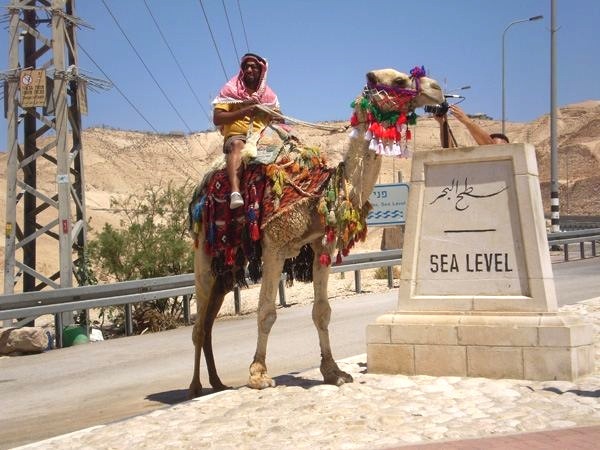 From Israel. Second Place Best short winner at the 2012 RIIFF. Directed by Khen Shalem. A simple soccer ball sparks an unusual between two young boys on either side of the Israeli and Palestinian separation wall. Can this wordless and gaze free relationship overcome the wall's towering presence. Revolutionary Memories of Bahman Who Loved Leila (15 min.) From Iran. Directed by Farahnaz Shaifi. A testimonial to the forgotten guerilla participants of the Islamic Revolution of 1978 as well as a love story played out in the midst of this political and social tumult. Cost: $10 donation; $8 for RIIFF members. Tickets available at the door. Contact 401-861-4445 for more information. Flickers is excited to announce a very special French edition of our popular "You Be The Judge" program which will hosted at the Alliance Francaise de Providence, 928 Smith Street, Providence, RI Our team has put together an amazing package of French films that have been submitted this summer to the Rhode Island International Film Festival. Not only will viewers be able to get a sneak peak at what "may" screen this summer, but also a cinematic view of the sights and sounds of France. 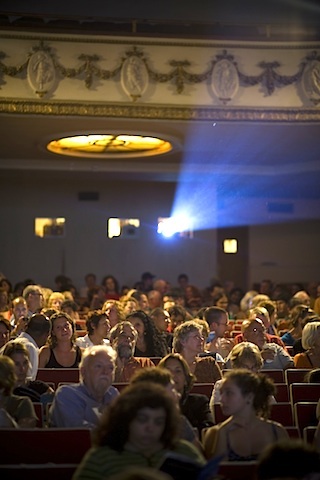 This popular program allows those attending to help the Flickers team choose which films will play the August Festival. And it's FREE! To learn more, click here. Contact: (401) 272-6243 for more information. FLICKERS: Rhode Island International Film Festival (RIIFF) has been nominated for a New England Emmy Award. The Board of Governors of the Boston/New England Chapter of the National Academy of Television Arts & Sciences notified Flickers about the nomination in the category of Public Service Announcement (PSA) – Single Spot in the 36th Annual Boston/New England Emmy competition. This marks the eleventh time video work produced by Flickers has gone on to be nominated for Emmy Awards. There have been four wins. This year’s Emmy nomination is for “Truth” a Public Service Announcement (PSA) that explores the world of Cinema and Art and how it can be found at the 16th annual Flickers: Rhode Island International Film Festival (RIIFF). The 30-second spot was directed by filmmaker William Smyth of Rhode Island-based vacilando films and shot in New York City. George T. Marshall of Flickers was the Executive Producer. It aired on Cox Communications, July 16-August 12, 2012. 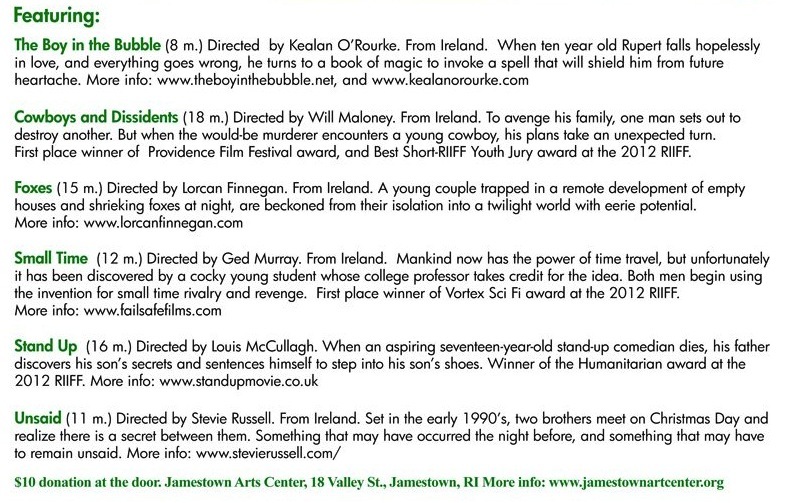 “We are very proud to be in such excellent company with this nominations and grateful for the recognition of our promotion for the Flickers: Rhode Island International Film Festival. Kudos to the amazing director, William Smyth who share in this nomination,” said Michael Drywa, Esq., Flickers Advisory Board President. The 36th Boston / New England Emmy Awards will take place on Saturday, June 1st, 2012 at Marriott Boston Copley Place in Boston, Mass. FLICKERS: Rhode Island International Film Festival (RIIFF) is pleased to announce the winners for this year’s Spotlight on Rhode Island Screenplay Competition. This was the second year for Competition that invited screenwriters from around the world to submit their original screenplays set in Rhode Island that features the state’s geography and demography as characters. The Grand Prize script will receive five free pitches to Hollywood studios and producers on VirtualPitchfest.com and a copy of Final Draft 8 screenwriting software as well as receive an all-access RIIFF pass for 2013 including the ScriptBiz Screenwriters Workshop. The Rhode Island Film and Television Office, in conjunction with the Rhode Island State Council on the Arts Education Program, the Rhode Island Arts Learning Network, the Flickers: Rhode Island International Film Festival, and the Harrington School of Communications and Media, announces the fourth annual "Give Me Five" youth film showcase on Saturday, May 18th, 2013. Teen filmmakers from around Rhode Island will showcase and discuss their 5-minute(or less) films, and receive feedback from a professional panel. Featured films this year have been selected from students at: Beacon Charter School (Woonsocket), Bishop Hendricken High School (Warwick), Everett Company (Providence), LaSalle Academy (Providence), Metropolitan Career & Technical Center (Providence), Portsmouth High School, Trinity Academy for the Performing Arts (Providence), and Westerly High School. This year's discussion panel will include Steven Feinberg (Director of the RI Film and Television Office in the Rhode Island Department of Administration); Rob Gray (Screen Actors' Guild); Josephine Sittenfeld (RISD faculty); and Alex Watrous (former GiveMe5 participant and now of Watrous Brothers Productions). Time: 12:30 - 5:00 p.m.
An amalgam of genres, 'A Conversation about Cheating with my Time-Traveling Future Self' blends sci-fi, drama, comedy, and epiphanies. It follows Stan, a man with a hidden and underutilized talent--the ability to travel back in time. And yet despite his abilities, he's still dissatisfied with life. Until one night when he's approached by a future version of himself, one clad in an expensive suit and telling him there's only one way to truly make his life better: By cheating on his girlfriend. A heated conflict leads to questions about fate, fidelity, and love as one man passionately argues with himself in a theater piece that could only be accomplished on film. An isolated elderly couple struggles to maintain their faith as the fear of an elusive killer sweeps the region of their lonely desert outpost. Set in a year 4 classroom in 1981 Julian explores a day in the life of a 9 year old boy. Julian's need to speak his truth and his strong urge to do what he thinks is right begins to unravel his world. Throughout the day Julian is forced to deal with a bully, an impatient teacher turning a blind eye and a Principal with a secret. As Julian faces these challenges we begin to see the qualities that will inform the man he is to become. An executive is on the point of committing suicide in his office early one morning. Just as he is about to pull the trigger, he is unexpectedly interrupted by the arrival of the cleaning lady. He can think of nothing better to do than hide... and spy on her. How far can we go in the pursuit of our goals? It is one of these universal questions that is raised by our film's story. The answer is never easy to find. And doing the right thing sometimes clashes with our personal motives and needs. UBUNTU tells the story of a ten-year-old-boy in a township in Cape Town. . He decides to head to the city in order to get some money for his mother's urgent surgery. The lesson the boy in our film has to learn is universal: you cannot do something bad to achieve something good. The lead is played by 10-year old Cwangco Mayekiso who actually lives in the Gugulethu township. Doctor Williams is called in to examine the enigmatic Mr. Voorman, a prisoner with a peculiar affliction: he believes he is a god. The Doctor must decide on the sanity of Mr Voorman - is he a faker or a lunatic? Diagnose him insane and they can ship him off to the asylum. But before making a decision, the Doctor has several questions in relation to Voorman's claims: why would a god choose to be strait jacketed in a prison, is there a way he can validate his boast and what has any of this got to do with Belgium? FLICKERS: Rhode Island International Film Festival (RIIFF) is proud to present its eighth annual Roving Eye Film Festival™. The popular and acclaimed festival celebrates the film arts from across the globe. All programming is curated by RWU students from current entries to RIIFF. Along with shorts and documentaries, this year's Festival will feature guest speakers and panels, plus animation, Latin-American, Asian and student film sidebars. All screenings, unless otherwise noted, will be free and open to the public . 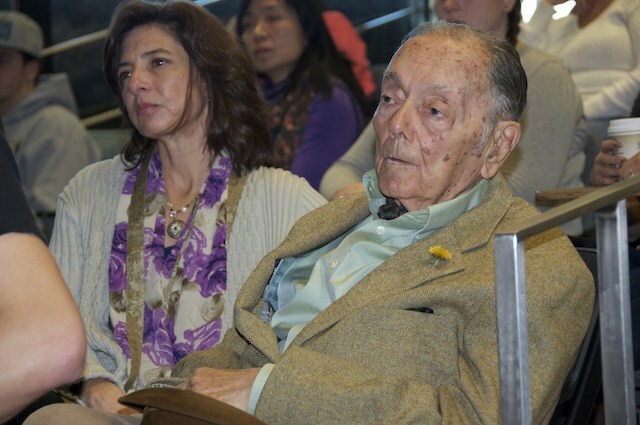 Screenings will take place at the Global Heritage Hall and the Mary Tefft White Cultural Center on the campus of Roger Williams University in Bristol, RI. Guests should enter through the main entrance at the fountain. they will be able to obtain a guest parking pass. Lot 24a will be blocked off for guests of the festival. Proceed through the main entrance through to the lot 24a on left. Events will take place in the Global Heritage Hall and the Mary Tefft White Cultural Center. We could not be more proud to be providing equipment, guidance and technical support for an important new documentary project that centers on the Foundation of International Medical Relief of Children. 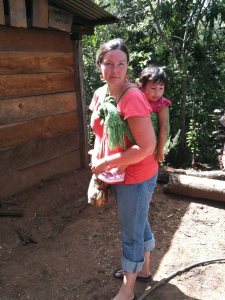 The shoot and ethnographic project will take place January 5-19th. Over the next two weeks, Roger Williams University Professor Autumn Quezada-Grant along with Sophomore Communications and Film Studies Major, Nick Palermo (a Flickers Production Associate Intern) will be interviewing participants and organizers in FIMRC sites in Costa Rica and Nicaragua. 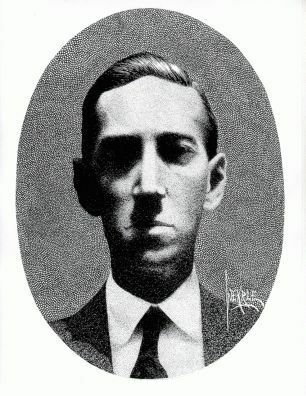 Initial shooting for his project began last year in El Salvador. The documentary will focus on public health, social justice and community partnerships at FIMRC sites in Central America. The work will screen at this year's Roving Eye Film Festival in April. the RWU Communication Department, RWU Hillel, and the Spiritual Life Office. Davis made a special appearance at Veterans Memorial Auditorium for a red carpet fundraiser to support the Central Falls High School Drama Club and the Segue Institute for Learning. The event included a screening of Davis’ new film, Won’t Back Down. 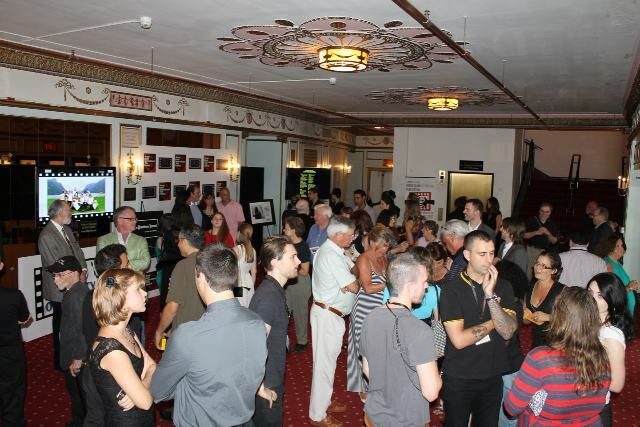 The Rhode Island Film and Television Office, The Rhode Island International Film Festival and Veterans Memorial Auditorium worked tigether in making the event a reality. KidsEye Campers Meet Star of "Diary of a Wimpy Kid"
We were thrilled to bring in actor (and Rhode Island native) Robert Capron (of Diary of a Wimpy Kid, The Three Stooges, and the upcoming Frankenweenie) to meet our 39 campers at this year's KidsEye Summer Filmmaking Camp. The actor met with our campers in the Atrium at the URI Memorial Union. Robert discussed his acting history, answered questions, signed autographs, and offered advice to these up-and-coming film industry stars! Our campers could not have been happier as this photo attests. Thank you! This year was amazing! RIIFF at the 20th Original GLBT Expo! RIIFF at the Newport Chamber of Commerce Business Expo! Mais Oui! Come and join us to celebrate the diversity of the French-speaking world! Discover, Listen, Taste, Learn, Dance, Speak, Wonder! From the shores of North Africa to the coasts of Québec and from Haïti to New Hampshire and Rhode Island, you will travel through many cultures, but the common language is French! In collaboration with the Maison Internationale du Rhode Island, the Délégation Générale du Québec à Boston and the Flickers: Rhode Island International Film Festival, l’Alliance Française de Providence is organizing a Festival de Film québécois (Quebecois shorts and feature-length films). The festival’s opening evening includes a reception with participants in la Francophonie celebration. Twenty-year old Xavier Dolans debut feature film about a just-out-of-the-closet teenagers contempt for his mother. Dolan writes, directs and stars in this semiautobiographical tale. In collaboration with the Maison Internationale du Rhode Island, the Délégation Générale du Québec à Boston and the Flickers: Rhode Island International Film Festival, l’Alliance Française de Providence is organizing a Festival de Film québécois (Quebecois shorts and feature-length films). Maryse and her husband Alain live an existence without history in their suburban home, where they try to sell their shovel. The life of Benedict's brother, Maryse, is a bit more complicated: he lives with his ailing father, has a difficult relationship with a single mother and has to meet a man who claims to be from the future, and wants to warn about an impending accident. To help his sister, he went with her family cottage where they must retrieve a trailer. Those few hours spent together will enable them to get closer. Bachir Lazhar, an Algerian immigrant, is hired to replace an elementary school teacher who died tragically. While the class goes through a long healing process, nobody in the school is aware of Bachir's painful former life. Time: 4:00 and 7:00 p.m.
Join us at this wonderful outreach event at the Hyatt Regency on Goat Island in Newport Harbor. We will be introducing this year's new poster design and have our graphics team, led by Michael J. Chevalier, onboard to share some of their work. We will be giving away passes to this year's Festival and even offer a raffle prize of a full Festival Pass. The time for the Expo is 4:00 - 7:00 p.m. EXPO 2013 showcases all that Newport County and the East Bay businesses have to offer. There will be hundreds of fabulous door prizes, plus free samples and souvenirs and live music. Over 100 businesses will be featuring products and services available throughout Newport County and the East Bay. Take advantage of Hassle Free parking and use the Viking Trolley from the FREE parking are at the Gateway Center. The Trolley will run every 15 minutes. The Museum of Work & Culture in collaboration with The Flickers: Rhode Island International Film Festival will present "You be the Judge." The program director of RIIFF, Shawn Quirk, will be present to discuss the art of the short film, and what festivals look for when accepting films. During the screening, the audience will vote for their favorite Québécois short film (with English sub-titles), and the film that earns the most votes will go on to be accepted for official competition in this year’s festival. The public is invited to come and see what Québec cinéma has to offer and help discover the new voices of independent cinema! 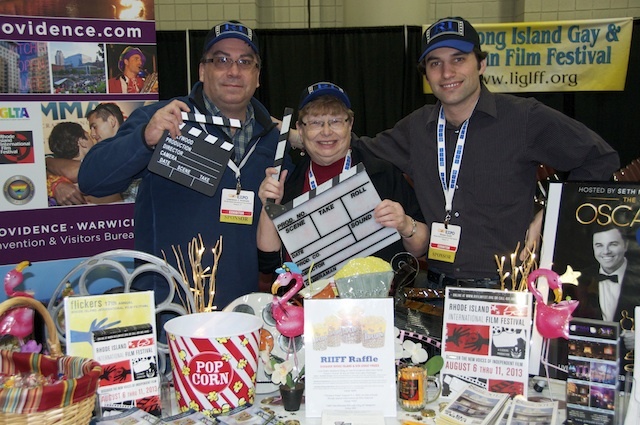 The GLBT Expo Video Lounge produced annually by the Flickers: Rhode Island International Film Festival (http://www.film-festival.org) and the Long Island Gay and Lesbian Film Festival (http://www.liglff.org) is a great way to be introduced to the art and artists who reflect the modern LGBTQ experience. Each year, the Festivals bring together a unique team of collaborators who help curate the Lounge, making for an entertaining and enlightening afternoon. From cutting edge new work, filmmaker interviews, live musical performances, comedy, dance and even a “You Be the Judge” program where you can select the films that will play at the Festivals, the Video Lounge has become an entertainment mainstay of the Expo. Stephen Flynn of Long Island and George T. Marshall of Rhode Island have shared a long history of friendship and collaboration. 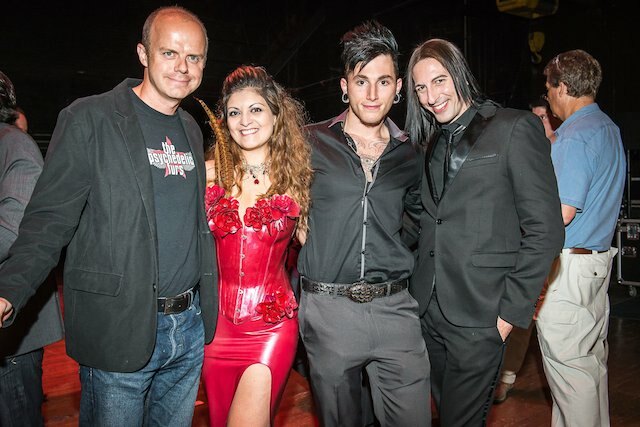 They have been able to draw in the exceptional talents of Ryan Janek Wolowski (MTV), Neal Bennington (Broadway Pride), Tym Moss and Appolonia Cruz, making for two days of non-stop entertainment. Add to the mix the cinematic vision of emerging visual artists, and it becomes easy to understand the popularity of the Lounge for those attending the Expo. This year RIIFF will be raffling a travel package to the City of Providence (lodging, meals and entertainment) courtesy of our friends at the Providence Warwick Convention and Visitor's Bureau; Gift Certificates to business in the city of Newport, courtesy of the Newport County Chamber of Commerce; and RIIFF Opening Night VIP Passes good for August 6th! The Video Lounge is a great place to network, discover new work, learn about the industry and ultimately support emerging new LGBTQ talent. 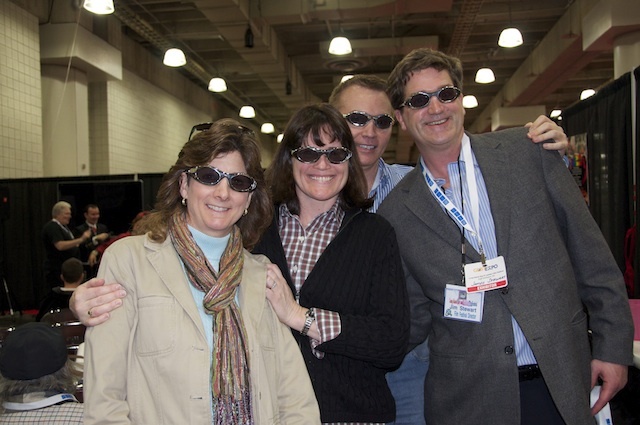 Last year, the lounge was packed on both days during the Expo -- an event which draws over 27,000 attendees. Don’t miss it this year. The event takes place at the Jacob Javits Center, W. 38th & 11th Avenue, NYC. Click here for a link to learn about the Expo. 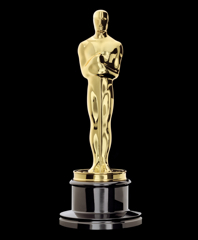 The Oscar® Experience: Providence is the Academy of Motion Picture Arts and Sciences' grassroots program that enables not-for-profit charities to host glamorous parties while raising much needed funds. 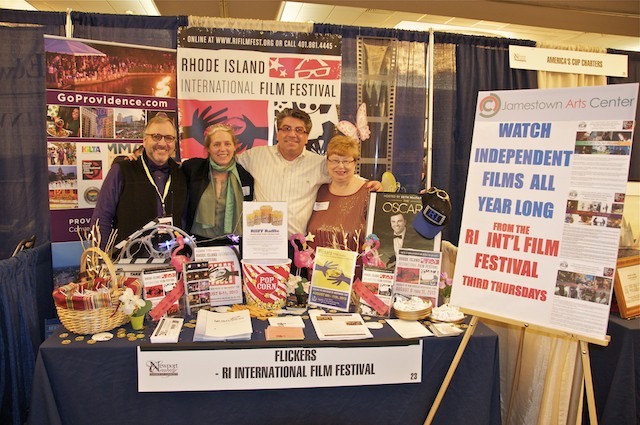 In 2013, the FLICKERS: Rhode Island International Film Festival (RIIFF) has again been selected to host Rhode Island’s only officially sanctioned party by the Academy; one of only 45 official parties throughout the country. "Family Guy" creator Seth MacFarlane, a graduate of the Rhode Island School of Design (RISD), will host the 2013 Oscars ceremony in Los Angeles. First-time Academy Awards producers Craig Zadan and Neil Meron made the announcement. Our elegant evening is once again chaired by Steven Feinberg, Executive Director of the RI Film and Television Office with RIIFF Advisory Board President, Michael Drywa, Esq. WLNE, ABC6 is the media sponsor and will be providing live coverage for our Red Carpet entrance to the event. Our hosts for the evening: Doreen Scanlon and Mark Curtis. MacFarlane is best known for his envelope-pushing animated TV shows "American Dad" and "Family Guy," a cartoon set in the fictional Quahog, Rhode Island. He is also a nominee this year for the film "Ted." Evolving details about the event can be found by clicking here. With Oscar Night® just a breathe away, we decided that it would be fun to share some of the brilliant work that has been screened at RIIFF over the past 17 years. These films have gone on to be critically acclaimed, made the Academy shortlist for nominations, or were nominated and in some cases won the coveted award. Of the twenty nine RIIFF films that have been nominated since 1998, six have gone on to win the coveted Oscar®. Have you ever wondered exactly what makes a film worthy of Academy consideration? Is there a secret formula? Are there linkages that unit the nominees? What separates one film from another in terms of storytelling, visualization and direction? From films that evoke, provoke, inspire, entertain and challenge, we will present some of the gems from the RIIFF Vault in a special program that will screen across the state of Rhode Island. All screenings will be free. Plus, we will be sponsoring a raffle where you can win tickets to this summer's Festival and discover the next generation of Academy nominees at our Opening Night Gala (Tuesday, August 6th). The Balcony Affair (17 minutes) Directed by Jamie Cussen. From Canada. Friend Request Pending (12 m.) Dir. by Chris Foggin. From the U.K. The Last Belle (20 m.) Dir. by Neil Boyle. From the U.K. Animation. Lunch Date (11 m.) Dir. by Sasha Collington. From the U.K. The Man with the Stolen Heart (7 m.) Dir. by Charlotte Boulay-Goldsmith. From the U.K. Animation. Parallel (20 m.) Dir. By Andrew R. Jones. From Switzerland. The Queen of My Dreams (3 m.) Dir. 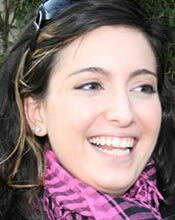 by Fawzia Mirza. As a young girl, Fawzia Mirza fell under the spell of Bollywood heroines and their promise of love and feminine perfection. As an adult, she re-imagines the epic romance in the classic film Aradhana, in a creatively queer light. www.facebook.com/thequeenofmydreams . Funeral Kings Trailer from McManus on Vimeo. We could not be happier to share that the 2012 First Prize winner for Best Feature, Funeral Kings, Directed by Kevin McManus and Matthew McManus returns to the Ocean State for a special theatrical screening at The Cable Car Cinema on South Main Street, Providence. For details, click here. Shot entirely in Rhode Island, the film packed The Vets for its screening in August 2012. Director, Matt McManus, and Producer, Matthew Giacheri will be in attendance for a Q&A on Saturday at 7pm. Believe the Dance (14 minutes) Directed by Thomas Berg. From Norway. Four lost souls stuck in a rut are hit hard with a life-altering experience through the power of dance. A wacky genre mashup of sci-fi, horror, comedy and dance. 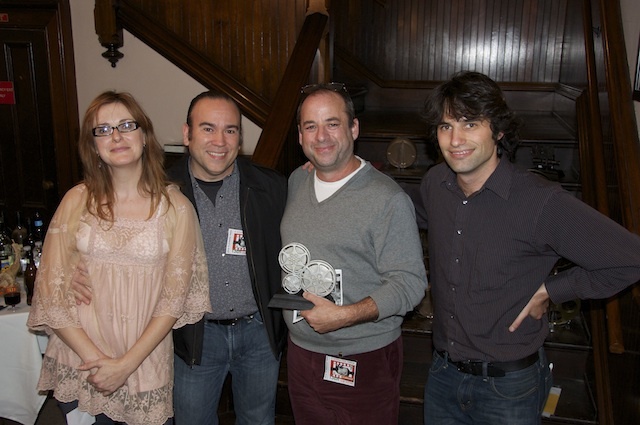 A 2012 RIIFF Grand Prize winner-Best Experimental film. More info: www.believethedance.com. Fraction (9 m.) Dir. by Alain Delannoy. From Canada. Animation. Caught in a battle of time, an elderly artist struggles to complete his body of work. A 2012 RIIFF Grand Prize winner-Best Experimental film. Good Karma $1 (14 m.) Dir. by Jason Berger. Herriott Grace (28 m.) Dir. by John Cullen. From Canada. A short documentary that follows Lance Herriott on his first day of retirement, saying goodbye to his ship welder past to focus his considerable talents on his lifelong passion creating one of kind pieces of functional art from wood. Machinehead (12 m.) Dir. by Micah Gallagher. Nani (20 m.) Dir. by Justin Tipping. A teenage graffiti artist and an elderly nursing home resident form an unlikely bond through misadventures in graffiti art. Strange Fruit (3 m.) Dir. by Neal Sopata. A short animated film that contrasts pastoral scenes of the Old South with the racial violence that occurred during the Jim Crow era in the U.S., as the memorable rendition of the song is sung by Billy Holiday. The 85th Academy Awards® will include a tribute to the James Bond movie franchise, which is celebrating its 50th Anniversary this year. The 85th Academy Awards nominations will be announced live on Thursday, January 10, 2013, at 5:30 a.m. PT in the Academy's Samuel Goldwyn Theater. Academy Awards for outstanding film achievements of 2012 will be presented on Oscar® Sunday, February 24, 2013, at the Dolby Theatre™ at Hollywood & Highland Center®, and televised live on the ABC Television Network. We are very very proud indeed that our long-time friend and Advisory Board member, Duncan Putney has been selected to receive this year's prestigious Award from Imagine Magazine. 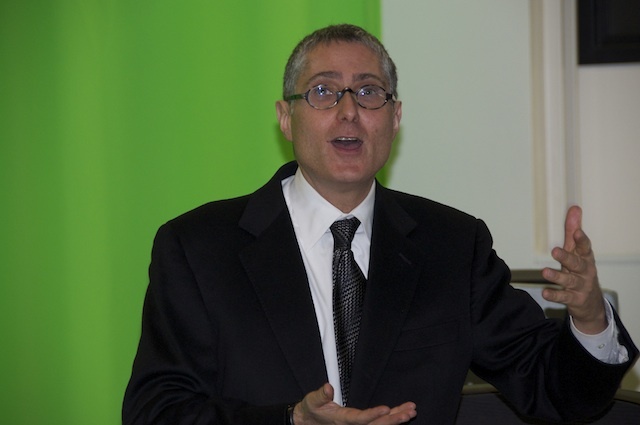 The 7DAYPSA Competition was conceived by Duncan B. Putney, an Emmy winning writer and the creative producer of Original Concept & Development Associates (www.OCDA.biz). This national competition has been created for and by the non-profit Flickers Arts Collaborative as part of the Creative Impulse Award programming. The purpose of this new competition is to challenge local filmmakers to use their skills and energy to meet a major need of local non-profit organizations, giving the filmmakers not only a great experience and a good feeling, but also a broadcast credit for their resumes. It is designed to build professional bridges, spurring networking and opening professional doors for the participants. It is about giving, sharing and mutual cooperation. This very magical event will be held in the beautiful Dome Room of The Lenox Hotel on Tuesday evening, 7:00 - 10:00 p.m., January 8, 2013 in Boston. For more details about the evening and to purchase tickets, click here. To learn about the 7DAYPSA Competition, click here. The 2012 RIIFF is Now Completed!